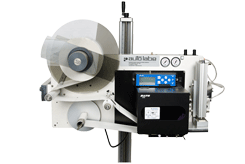 Auto Labe has designed over 1,000 custom pressure sensitive labeling systems for many of the largest packagers around the globe! The Model 151 features a new PLC controlled Print and Apply Labeling System that accepts all Industrial Print Engines. This Print and Apply unit is designed for the most common Tamp-On, Tamp/Blow, Blow-On applications for box labeling or bar code labeling of products. 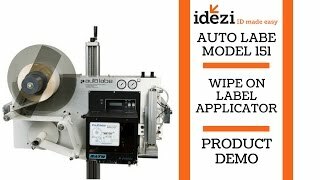 The Auto Labe Model 151 features a new PLC controlled Print and Apply Labeling System that accepts all Industrial Print Engines. This Print and Apply unit is designed for the most common Tamp-On, Tamp/Blow, Blow-On applications for box labeling or bar code labeling of products.